November brought a steep drop in temperatures to Odenton and nearby Ft. Meade, Md., and along with the cold weather came a corresponding chill in the local real estate market. 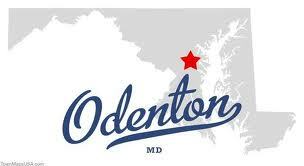 Year-over-year housing numbers show that fewer homes sold in Odenton in November 2014 than in the previous November. Average home prices here dropped and homes took longer to sell. Median home prices in zip code 21113 dropped 8 percent, from $305,000 to $280,000. The number of homes that were sold fell 29 percent, from 38 to 27. And the average number of days those homes stayed on the market rose 18 percent, from 45 days to 53 days. Last month also saw a 20 percent jump in the total number of homes listed for sale in Odenton compared to the previous November (147 homes versus 122 homes). The number of detached single family homes sold in Odenton took the biggest hit, dropping 53 percent, from 15 homes to seven. Similarly, the median sale price of those homes plunged 36 percent from the same time last year. Attached homes, which include townhomes, condominiums and duplexes, fared a little better by comparison. Average prices of attached homes sold in Odenton dropped 4 percent over the previous year, while the number of attached units sold dropped from 23 to 20. The housing data was issued by RealEstate Business Intelligence. Jerry Kline is a Realtor with the Odenton, Md., office of Keller Williams Flagship Realty (1216 Annapolis Rd., Odenton.) For more information on the local real estate market, contact him at (443) 924-7418 or JerryKline@kw.com, or visit his blog (www.JerryKlineRealtor.wordpress.com) or website (www.JerryKline.kwrealty.com). This entry was posted in Uncategorized and tagged BRAC, Chapel Grove, Ft. Meade, home sellers, homebuyers, Jerry Kline, Keller Williams Realty, Odenton, Odenton real estate, Piney Orchard, real estate, Seven Oaks by jerryklinerealtor. Bookmark the permalink.